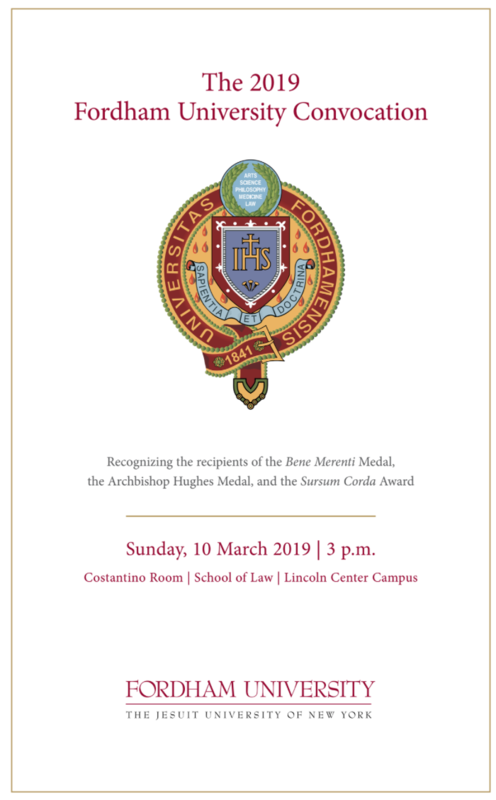 At the 2019 Convocation ceremony, held March 10th at Lincoln Center, Fordham University awarded Professor Mary Bly the Bene Merenti medal for her 20 years of dedicated service to Fordham. “In her 20 years at Fordham, Mary Bly has contributed so much to our communal life that we might justly bestow perhaps a century’s worth of Bene Merenti medals on her, right here, right now. During her spectacular, overlapping triple stint as Director of Graduate Studies, of the Creative Writing Program, and of Professional Development, she transfigured for the better everything she touched. Thanks to her innovations, our doctoral students, now fully funded, enter the profession with a deeper sense of what their work entails, and our Creative Writing Program thrives as never before. The same prodigious productivity suffuses everything that Mary does. Within the populous world of Shakespeare scholarship, Mary and her work shine star-bright. And then there is her second self: Eloisa James, prolific, bestselling romance novelist. Perhaps no other professor on Earth can hold audiences equally in thrall at the annual meetings of the Shakespeare Association of America, and of the romance fanfest KissCon. 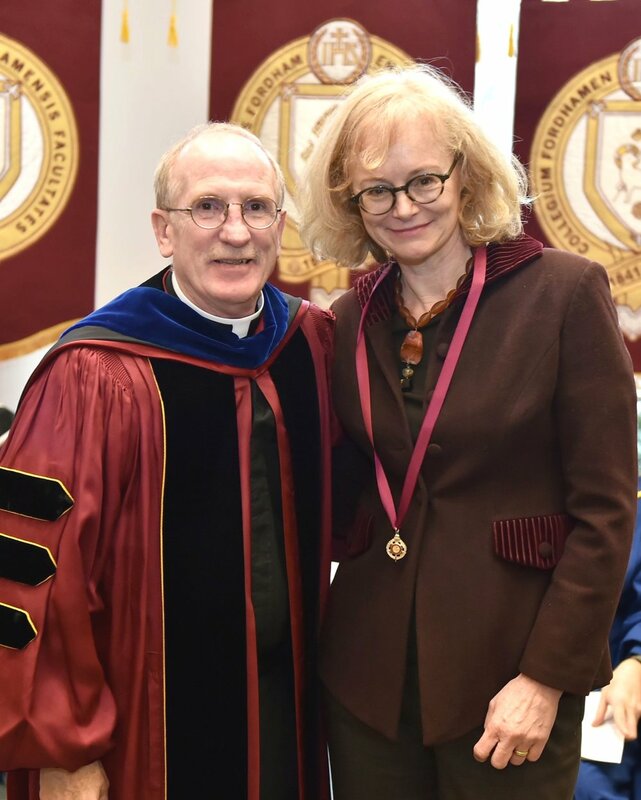 Congratulations, Professor Bly, and thank you for all you have done for your students, for the English Department, and for the Fordham community at large.